The legacy of Durham will be celebrated throughout 2019 during Durham 150. That name comes from The Bull City being founded on April 10, 1869 (150 years ago). Current Mayor Steve Schewel spoke about it being an amazing time in Durham’s history. This year-long celebration focuses on the values of inclusiveness and shared prosperity. Durham embraces diversity like no place else. This is a chance to face our history head on, the good moments and the challenging moments. We will use this opportunity to tell the world about Durham. An Honors Committee will be taking names and ideas of people who have contributed to Durham’s unique history so we can honor, uplift, and celebrate these heroes. There are about 100 folks involved at the community level. They will have wonderful events and projects that will be open and accessible for all of the community to engage in. The opening community-wide celebration is April 13. It will be a family-friendly event with lots of different activities going on. While the celebration will last all of 2019, the majority of the events will happen between April and November (the warmer months). The closing event will serve as the Capstone of the year that will honor and lift up those folks who have made Durham have its unique sense of history and place. It will be a celebration with music and a video of events from the whole past year. The official website (Durham150.org) will have community events and there will be a place for organizations to submit events. Durham 150 leaders are “trying to make it decentralized” and there is a grant program if you have an idea of a way to celebrate, but need funds to make it happen. A calendar will show upcoming events during the year. The Durham 150 logo is reminiscent of circuitry, a symbol of the growing technology industry. The little leaves in the logo represent tobacco, the original major industry of Bull City. Together these features show the deep history of Durham along with its steps into the future. This is complemented by the orange color which represents creativity, determination, success, and all those things that Durham stands for. The City of Durham, Discover Durham, and Museum of Durham History will be playing major roles in the celebration of Durham 150. 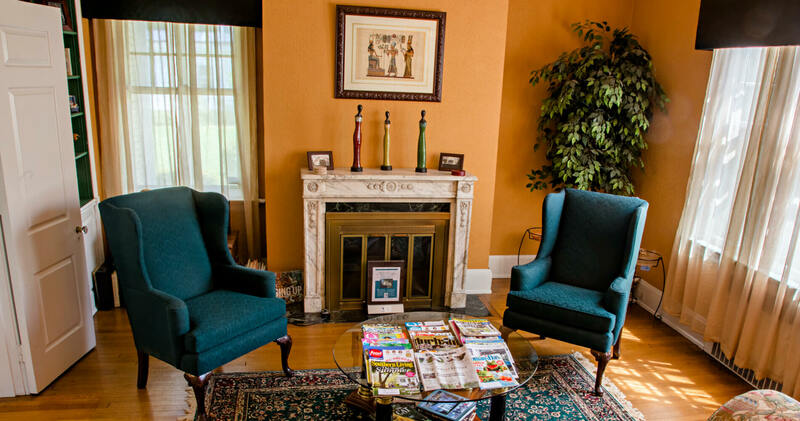 We are honored to serve as ambassadors of Durham and owners of Morehead Manor Bed and Breakfast for the past 21 years. The legacy of Durham continues. This entry was posted in Durham and tagged Discover Durham, Durham 150, legacy of Durham, Museum of Durham History by admin. Bookmark the permalink.